Gildan Ultra Cotton tshirt made of 100% Cotton Preshrunk. 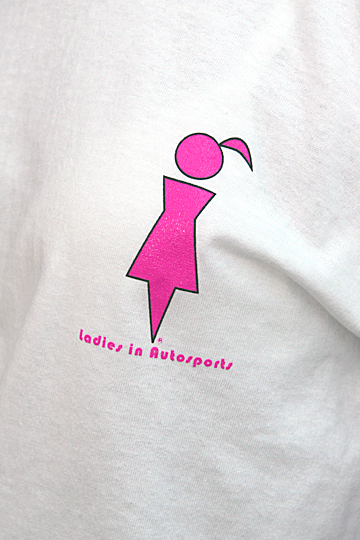 White shirt with the pink LIA Lady logo that is outlined in black on the left front. No design on the back.